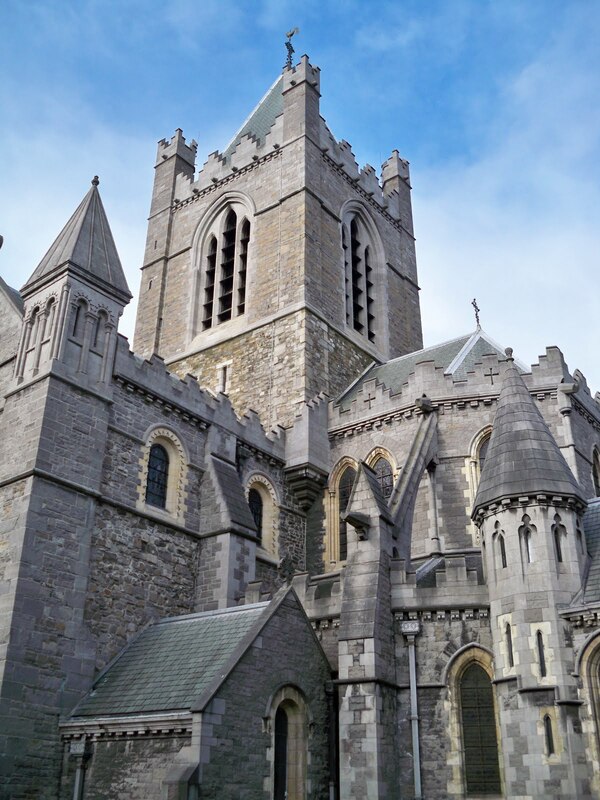 The Book of Common Prayer … how did the Book of Common Prayer emerge, and how was it received in the Church of Ireland? Contextual understandings (1): the emergence, role and authority of the Book of Common Prayer, the Homilies, Articles of Religion. The historical position of Anglicanism on the Eucharist is found in Article 28 of the 39 Articles (1571), which state “the Bread which we break is a partaking of the Body of Christ” and that “the Cup of Blessing is a partaking of the Blood of Christ.” The capitalisation of the terms “Bread” and “Wine” and the corresponding words “Body” and “Blood” may reflect the wide range of theological beliefs about the Eucharist among Anglicans. ● An “Order for Holy Communion” (January 1548) provided for vernacular Communion devotions during the Latin Mass, including the exhortations, confession and absolution. It introduced in English the Comfortable Words and Prayer of Humble Access, along with a formula for the administration of Holy Communion in both kinds. ● In September 1548, a group of bishops was summoned to Chertsey Abbey and Windsor to agree on “a uniform order of prayer” for the Church of England. The 1549 Prayer Book describes the Holy Communion or Eucharist as “The Supper of the Lord and the Holy Communion, commonly called the Mass.” Some notable survivors from the priests’ private prayers before Mass include the introductory Lord’s Prayer, to be prayed by the priest alone, and the Collect for Purity. The 1552 Book of Common Prayer marked a considerable change. 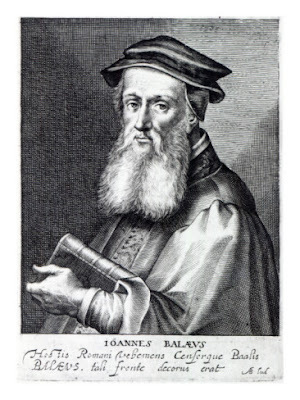 In response to criticisms by Peter Martyr, Martin Bucer and others, deliberate steps were taken to excise Roman Catholic practices and to introduce more Calvinist ideas to England. The Holy Communion service in the 1552 Book was yet another stage in a process that began in the 1530s. 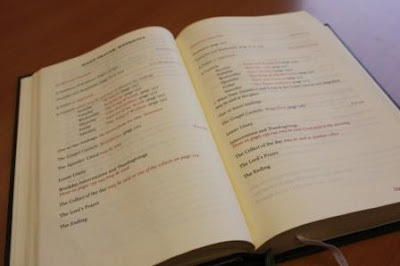 Similarly, the 1552 services of Morning Prayer and Evening Prayer were the next stage in a process that began with the first introduction of English into the Latin offices in 1543, and the two revisions of the Breviary, before the publication of the two prayer books. Between 1549 and 1552, Cranmer was engaged in a controversy with Bishop Stephen Gardiner on the Lord’s Supper. Cranmer expressed a respect for antiquity, yet appealed to antiquity when he thought change was needed. He drew on the liturgical works of Justin Martyr, Tertullian, Cyprian, De Sacramentis, Pseudo-Dionysius, Isidore, the Liturgy of Saint John Chrysostom and other Orthodox sources, the Mozarabic Missal, and the use of the epiclesis in the Eastern or Byzantine liturgies. Four centuries later, the Lambeth Conference of 1958 would argue that the “recovery of the worship of the Primitive Church” was “the aim of the compilers of the first Prayer Books of the Church of England.” [Lambeth Conference 1958, Resolution 74 c.] But Cranmer also drew on the work of others, including Cardinal Quinones and the Lutherans. The second prayer book was introduced in England in 1552, but it was never authorised for use in the Church of Ireland. 3, Gone was the Kyrie (“Lord have mercy”), to be replaced by the Ten Commandments, used as a kind of litany. 5, After the collection for the poor came the intercessions, including a prayer “for the whole state of Christ’s Church militant here on earth” but no reference to the faithful departed. In this position, they could be said whether or not there was Communion, and they were not associated with the communion and its mediaeval connotations of sacrifice. 6, Gone was any reference to an offering of a “Sacrifice of praise and thanksgiving” in the Eucharistic prayer, which ended with the words of institution (“This is my body ...This is my blood...”). 11, The words at the administration of communion in the 1549 Book of Common Prayer described the Eucharistic species as “The body of our Lorde Jesus Christe ...,” “The blood of our Lorde Jesus Christe ...” In 1552, the words of administration were replaced with the words, “Take, eat, in remembrance that Christ died for thee ...” &c.
16, The “black rubric” was introduced – this declaration on kneeling was only added after the printing process began, so it was omitted from some printed copies. It was omitted again in 1559, but was reintroduced, with changes, in 1662. But it was not an ordinary rubric, and was printed in black rather than red. Under Elizabeth I, the alterations of the 1559 Book of Common Prayer from the 1552 version, though minor, had major implications. Instead of banning vestments, the ‘Ornaments Rubric’ of 1559 allowed what had been used “in the second year of K[ing]. Edward VI.” This allowed the more traditionalist clergy to retain some of the vestments they felt were appropriate to liturgical celebration. The cope and surplice remained the prescribed vesture for celebrations in cathedrals and collegiate churches, and this rubric was used in the 19th century to restore vestments such as chasubles, albs and stoles. ● At the administration of the Holy Communion, the words “the Body of our Lord Jesus Christ,” &c, were combined with the words of Edward’s second book, “Take eat in remembrance …,” &c.
1, The inclusion of the Offertory by inserting the words “and oblations” into the prayer for the Church and the revision of the rubric to require the monetary offerings be brought to the Table (instead of being put in the poor box) and the bread and wine placed upon the Table. Previously it was not clear when and how bread and wine were produced. St Leger also had the Book of Common Prayer translated into Latin, but instructions to have the services read in the Irish language were not followed in areas where people used Irish as their first language. In other words, the majority of people on the island was by-passed or ignored. Only five Irish bishops, led by Archbishop George Browne of Dublin, were prepared to use The Book of Common Prayer. The Archbishop of Armagh left his diocese, saying “he would never be a bishop where the Holy Mass were abolished,” and fled the country. And so, the progress of The Book of Common Prayer in Ireland was very slow from the beginning. In the greater part of the country English was less understood than Latin. A year after the introduction of the book, in 1552, St Leger found great negligence. The old ceremonies were still being used in many places, even in English-speaking cities and towns. The second Book of Common Prayer (1552) was never authorised for use in Ireland, and its only recoded use was when John Bale (1495-1563), a former Carmelite friar, insisted on using it for his consecration as Bishop of Ossory in Dublin on 2 February 1553, although during the service the Dean of Christ Church, Thomas Lockwood, protested against the use of the revised office. Agreed upon by the Archbishops and Bishops of both provinces and the whole Clergy, in the Convocation holden at London in the year 1562 for the avoiding of the diversities of opinions, and for the establishment of consent touching true religion. Received and approved by the Archbishops and Bishops, and the rest of the Clergy in Ireland, in the Synod holden in Dublin, A.D. 1634. Received and approved by the Archbishops and Bishops, and the Clergy and the laity of the Church of Ireland, in the Synod holden in Dublin, A.D., 1870. Genesis, Exodus, Leviticus, Numbers, Deuteronomy, Joshua, Judges, Ruth, The First Book of Samuel, The Second Book of Samuel, The First Book of Kings, The Second Book of Kings, The First Book of Chronicles, The Second Book of Chronicles, The First Book of Esdras, The Second Book of Esdras, The Book of Esther, The Book of Job, The Psalms, The Proverbs, Ecclesiastes or Preacher, Cantica or Songs of Solomon, Four Prophets the greater, Twelve Prophets the less. The Three Creeds, Nicene Creed, Athanasius’ Creed, and that which is commonly called the Apostles’ Creed, ought thoroughly to be received and believed: for they may be proved by most certain warrants of Holy Scripture. Original sin standeth not in the following of Adam, (as the Pelagians do vainly talk;) but it is the fault and corruption of the Nature of every man, that naturally is engendered of the offspring of Adam; whereby man is very far gone from original righteousness, and is of his own nature inclined to evil, so that the flesh lusteth always contrary to the Spirit; and therefore in every person born into this world, it deserveth God's wrath and damnation. And this infection of nature doth remain, yea in them that are regenerated; whereby the lust of the flesh, called in Greek, phrónema sarkós, which some do expound the wisdom, some sensuality, some the affection, some the desire, of the flesh, is not subject to the Law of God. And although there is no condemnation for them that believe and are baptized; yet the Apostle doth confess, that concupiscence and lust hath of itself the nature of sin. Predestination to Life is the everlasting purpose of God, whereby (before the foundations of the world were laid) he hath constantly decreed by his counsel secret to us, to deliver from curse and damnation those whom he hath chosen in Christ out of mankind, and to bring them by Christ to everlasting salvation, as vessels made to honour. Wherefore, they which be endued with so excellent a benefit of God, be called according to God’s purpose by his Spirit working in due season: they through Grace obey the calling: they be justified freely: they be made sons of God by adoption: they be made like the image of his only-begotten Son Jesus Christ: they walk religiously in good works, and at length, by God's mercy, they attain to everlasting felicity. The Church hath power to decree Rites or Ceremonies, and authority in Controversies of Faith: and yet it is not lawful for the Church to ordain anything that is contrary to God’s Word written, neither may it so expound one place of Scripture, that it be repugnant to another. Wherefore, although the Church be a witness and a keeper of Holy Writ, yet, as it ought not to decree anything against the same, so besides the same ought it not to enforce any thing to be believed for necessity of Salvation. General Councils may not be gathered together without the commandment and will of Princes. And when they be gathered together, (forasmuch as they be an assembly of men, whereof all be not governed with the Spirit and Word of God), they may err, and sometimes have erred, even in things pertaining unto God. Wherefore things ordained by them as necessary to salvation have neither strength nor authority, unless it may be declared that they be taken out of holy Scripture. Although in the visible Church the evil be ever mingled with the good, and sometimes the evil have chief authority in the Ministration of the Word and Sacraments, yet forasmuch as they do not the same in their own name, but in Christ’s, and do minister by his commission and authority, we may use their Ministry, both in hearing the Word of God, and in receiving the Sacraments. Neither is the effect of Christ's ordinance taken away by their wickedness, nor the grace of God’s gifts diminished from such as by faith, and rightly, do receive the Sacraments ministered unto them; which be effectual, because of Christ’s institution and promise, although they be ministered by evil men. 29. Of the Wicked, which eat not the Body of Christ in the use of the Lord’s Supper. 10 Of the reverent Estimation of God’s Word. The Book of Consecration of Archbishops and Bishops, and Ordering of Priests and Deacons, lately set forth in the time of Edward the Sixth, and confirmed at the same time by authority of Parliament, doth contain all things necessary to such Consecration and Ordering: neither hath it anything, that of itself is superstitious and ungodly. And therefore whosoever are consecrated or ordered according to the Rites of that Book, since the second year of the forenamed King Edward unto this time, or hereafter shall be consecrated or ordered according to the same Rites; we decree all such to be rightly, orderly, and lawfully consecrated and ordered. Where we attribute to the King’s Majesty the chief government, by which Titles we understand the minds of some slanderous folks to be offended; we give not our Princes the ministering either of God’s Word, or of the Sacraments, the which thing the Injunctions also lately set forth by Elizabeth our Queen do most plainly testify; but that only prerogative, which we see to have been given always to all godly Princes in holy Scriptures by God himself; that is, that they should rule all estates and degrees committed to their charge by God, whether they be Ecclesiastical or Temporal, and restrain with the civil sword the stubborn and evil-doers. 38. Of Christian Men’s Goods, which are not common. 39. Of a Christian Man’s Oath. As we confess that vain and rash swearing is forbidden Christian men by our Lord Jesus Christ, and James his Apostle, so we judge, that Christian Religion doth not prohibit, but that a man may swear when the Magistrate requireth, in a cause of faith and charity, so it be done according to the Prophet's teaching in justice, judgement, and truth. • The third book of Esdras. • The fourth book of Esdras. • The book of Tobias. • The book of Judith. • Additions to the book of Esther. • The book of Wisdom. • The book of Jesus, the Son of Sirach, called Ecclesiasticus. • Baruch, with the Epistle of Jeremiah. • The song of the three Children. • Bel and the Dragon. • The prayer of Manasses. • The First book of Maccabees. • The Second book of Maccabees. 5. Although there be some hard things in the Scripture (especially such as have proper relation to the times in which they were first uttered, and prophesies of things which were afterwards to be fulfilled), yet all things necessary to be known unto everlasting salvation are clearly delivered therein: and nothing of that kind is spoken under dark mysteries in one place, which is not in other places spoken more familiarly and plainly to the capacity of learned and unlearned. 7. All and every the Articles contained in the Nicene Creed, the Creed of Athanasius, and that which is commonly called the “Apostles” Creed ought firmly to be received and believed, for they may be proved by most certain warrant of holy Scripture. Of God’s eternal decree, and Predestination. 13. Predestination to life, is the everlasting purpose of God, whereby, before the foundations of the world were laid, he hath constantly decreed in his secret counsel to deliver from curse and damnation those whom he hath chosen in Christ out of mankind, and to bring them by Christ unto everlasting salvation, as vessels made to honour. 15. Such as are predestinated unto life be called according unto God’s purpose (his Spirit working in due season) and through grace they obey the calling, they be justified freely, they be made sons of God by adoption, they be made like the image of his only begotten Son Jesus Christ, they walk religiously in good works, and at length, by Gods mercy they attain to everlasting felicity. But such as are not predestinated to salvation shall finally be condemned for their sins. 16. The godlike consideration of Predestination and our election in Christ is full of sweet, pleasant, and unspeakable comfort to godly persons, and such as feel in themselves the working of the Spirit of Christ, mortifying the works of the flesh, and their earthly members, and drawing up their minds to high and heavenly things: as well because it doth greatly confirm and establish their faith of eternal salvation to be enjoyed through Christ, as because it doth fervently kindle their love towards God: and on the contrary side, for curious and carnal persons, lacking the spirit of Christ, to have continually before their eyes the sentence of God’s predestination is very dangerous. 17. We must receive God’s promises in such wise as they be generally set forth unto us in holy Scripture; and in our doings, that will of God is to be followed, which we have expressly declared unto us in the word of God. 18. In the beginning of time when no creature had any being, God by his word alone, in the space of six days, created all things, and afterwards by his providence doth continue, propagate, and order them according to his own will. 20. Of Angels, some continued in that holy state wherein they were created, and are by God’s grace for ever established therein: others fell from the same, and are reserved in chains of darkness unto the judgment of the great day. 23. Original sin standeth not in the imitation of Adam (as the Pelagians dream) but is the fault and corruption of the nature of every person that naturally is engendered and propagated from Adam: whereby it cometh to pass that man is deprived of original righteousness, and by nature is bent unto sin. And therefore, in every person born into the world, it deserveth God’s wrath and damnation. 24. This corruption of nature doth remain even in those that are regenerated, whereby the flesh always lusteth against the spirit, and cannot be made subject to the law of God. And howsoever, for Christ’s sake there be no condemnation to such as are regenerate and do believe: yet doth the Apostle acknowledge that in itself this concupiscence hath the nature of sin. 27. All sins are not equal, but some far more heinous than others; yet the very least is of its own nature mortal, and without God’s mercy maketh the offender liable unto everlasting damnation. 29. The Son, which is the Word of the Father, begotten from everlasting of the Father, the true and eternal God, of one substance with the Father, took man’s nature in the womb of the blessed Virgin, of her substance: so that two whole and perfect natures, that is to say, the Godhead and Manhood were inseparably joined in one person, making one Christ very God and very man. 30. Christ in the truth of our nature was made like unto us in all things, sin only excepted, from which he was clearly void, both in his life and in his nature. He came as a Lamb without spot to take away the sins of the world by the sacrifice of himself once made, and sin (as Saint John saith) was not in him. He fulfilled the law for us perfectly: For our sakes he endured most grievous torments immediately in his soul, and most painful sufferings in his body. He was crucified, and died to reconcile his Father unto us, and to be a sacrifice not only for original guilt, but also for all our actual transgressions. He was buried and descended into hell, and the third day rose from the dead, and took again his body, with flesh, bones, and all things appertaining to the perfection of man’s nature: wherewith he ascended into Heaven, and there sitteth at the right hand of his Father, until he return to judge all men at the last day. 33. All God’s elect are in their time inseparably united unto Christ by the effectual and vital influence of the Holy Ghost, derived from him as from the head unto every true member of his mystical body. And being thus made one with Christ, they are truly regenerated and made partakers of him and all his benefits. 34. We are accounted righteous before God, only for the merit of our Lord and Saviour Jesus Christ, applied by faith; and not for our own works or merits. And this righteousness, which we so receive of God’s mercy and Christ’s merits, embraced by faith, is taken, accepted, and allowed of God for our perfect and full justification. 35. Although this justification be free unto us, yet it cometh not so freely unto us that there is no ransom paid therefore at all. God showed his great mercy in delivering us from our former captivity, without requiring of any ransom to be paid, or amends to be made on our parts; which thing by us had been impossible to be done. And whereas all the world was not able of themselves to pay any part towards their ransom, it pleased our heavenly Father of his infinite mercy without any desert of ours, to provide for us the most precious merits of his own Son, whereby our ransom might be fully paid, the law fulfilled, and his justice fully satisfied. So that Christ is now the righteousness of all them that truly believe in him. He for them paid their ransom by his death. He for them fulfilled the law in his life. That now in him, and by him every true Christian man may be called a fulfiller of the law: forasmuch as that which our infirmity was not able to effect, Christ’s justice hath performed. And thus the justice and mercy of God do embrace each other: the grace of God not shutting out the justice of God in the matter of our justification; but only shutting out the justice of man (that is to say, the justice of our own works) from being any cause of deserving our justification. 36. When we say that we are justified by faith only, we do not mean that the said justifying faith is alone in man, without true Repentance, Hope, Charity, and the fear of God (for such a faith is dead, and cannot justify), neither do we mean that this our act to believe in Christ, nor this our faith in Christ, which is within us, doth of itself justifie us, nor deserve our justification unto us (for that were to account ourselves to be justified by the virtue or dignity of some thing that is within ourselves): but the true understanding and meaning thereof is that although we have Faith, Hope, Charitie, Repentance, and the fear of God within us and add never so many good works thereunto: yet we must renounce the merit of all our said virtues, of Faith, Hope, Charitie, and all our other virtues, and good deeds, which we either have done, shall do, or can do, as things that be far too weak and imperfect, and insufficient to deserve remission of our sins, and our justification: and therefore we must trust only in God’s mercy, and the merits of his most dearly beloved Son, our only Redeemer, Saviour, and Justifier, Jesus Christ. Nevertheless, because Faith doth directly send us to Christ for our justification, and that by faith given us of God we embrace the promise of God’s mercy, and the remission of our sin (which thing none other of our virtues or works properly doth): therefore the Scripture saith, that Faith without works; and the ancient fathers of the Church to the same purpose, that only Faith doth justify us. 37. By justifying Faith we understand not only the common belief of the Articles of Christian Religion, and a persuasion of the truth of God’s word in general: but also a particular application of the gratuitous promises of the Gospel, to the comfort of our own souls: whereby we lay hold on Christ with all his benefits, having an earnest trust and confidence in God that he will be merciful unto us for his only Son’s sake. So that a true believer may be certain, by the assurance of faith, of the forgiveness of his sins, and of his everlasting salvation by Christ. 41. Albeit that good works, which are the fruits of faith and follow after justification, cannot make satisfaction for our sins, and endure the severity of God’s judgment: yet are they pleasing to God, and accepted of him in Christ, and do spring from a true and lively faith, which by them is to be discerned as a tree by the fruit. 43. The regenerate cannot fulfil the law of God perfectly in this life. For in many things we offend all: and if we say we have no sin, we deceive ourselves, and the truth is not in us. 44. Not every heinous sin willingly committed after baptism is sin against the holy Ghost and unpardonable. And therefore to such as fall into sin after baptism, place for repentance is not to be denied. 48. We ought to prepare our hearts before we pray, and understand the things that we ask when we pray: that both our hearts and voices may together sound in the ears of God’s Majesty. 51. We must not fast with this persuasion of mind, that our fasting can bring us to heaven, or ascribe holiness to the outward work wrought. For God alloweth not our fast for the work’s sake (which of itself is a thing merely indifferent), but chiefly respecteth the heart, how it is affected therein. It is therefore requisite that first before all things we cleanse our hearts from sin, and then direct our fast to such ends as God will allow to be good: that the flesh may thereby be chastised, the spirit may be more fervent in prayer, and that our fasting may be a testimony of our humble submission to God’s majesty, when we acknowledge our sins unto him, and are inwardly touched with sorrowfulness of heart, bewailing the same in the affliction of our bodies. 52. All worship devised by man’s fantasy, besides or contrary to the Scripture (as wandering on Pilgrimages, setting up of Candles, Stations, and Jubilees, Pharisaical sects and feigned religions, praying upon Beads, and such like superstition) hath not only no promise of reward in Scripture, but contrariwise threatenings and maledictions. 54. All religious worship ought to be given to God alone; from whom all goodness, health, and grace ought to be both asked and looked for, as from the very author and giver of the same, and from none other. 56. The first day of the week, which is the Lord’s day, is wholly to be dedicated unto the service of God: and therefore we are bound therein to rest from our common and daily business, and to bestow that leisure upon holy exercises, both public and private. 57. The King’s Majesty under God hath the Sovereign and chief power within his Realms and Dominions over all manner of persons of what estate, either Ecclesiastical or Civil, soever they be; so as no other foreign power hath or ought to have any superiority over them. 58. We do profess that the supreme government of all estates within the said Realms and Dominions in all causes, as well Ecclesiastical as Temporal, doth of right appertain to the King’s highness. Neither do we give unto him hereby the administration of the Word and Sacraments, or the power of the Keys: but that prerogative only which we see to have been always given unto all godly Princes in holy Scripture by God himself; that is, that he should contain all estates and degrees committed to his charge by God, whether they be Ecclesiastical of Civil, within their duty, and restrain the stubborn and evildoers with the power of the Civil sword. 59. The Pope neither of himself, nor by any authority of the Church or See of Rome, or by any other means with any other, hath any power or authority to depose the King, or dispose any of his Kingdoms or Dominions, or to authorize any other Prince to invade or annoy him or his Countries, or to discharge any of his subjects of their allegiance and obedience to his Majesty or to give license or leave to any of them to bear arms, raise tumult, or to offer any violence of hurt to his Royal person, state, or government, or to any of his subjects within his Majesty’s Dominions. 63. Our duty towards our neighbours is to love them as ourselves, and to do to all men as we would they should do to us; to honour and obey our Superiors, to preserve the safety to men’s persons, as also their chastity, goods, and good names; to bear no malice nor hatred in our hearts; to keep our bodies in temperance, soberness, and chastity; to be true and just in all our doings; not to covet other men’s goods, but labour truly to get our own living, and to do our duty in that estate of life unto which it pleaseth God to call us. 64. For the preservation of the chastity of men’s persons, wedlock is commanded unto all men that stand in need thereof. Neither is there any prohibition by the word of God, but that the ministers of the Church may enter into the state of Matrimony: they being nowhere commanded by God’s Law either to vow the estate of single life, or to abstain from marriage. Therefore it is lawful also for them, as well as for all other Christian men, to marry at their own discretion, as they shall judge the same to serve better to godliness. 68. There is but one Catholic Church (out of which there is no salvation) containing the universal company of all the Saints that ever were, are, or shall be gathered together in one body, under one head Christ Jesus: part whereof is already in heaven triumphant, part as yet militant here upon earth. And because this Church consisteth of all those, and those alone, which are elected by God unto salvation, and regenerated by the power of his Spirit, the number of whom is known only unto God himself; therefore it is called Catholic or universal, and the Invisible Church. 69. But particular and visible Churches (consisting of those who make profession of the faith of Christ, and live under the outward means of salvation) be many in number: wherein the more or less sincerely according to Christ’s institution, the word of God is taught, the Sacraments are administered, and the authority of the Keys is used, the more or less pure are such Churches to be accounted. 70. Although in the visible Church the evil be ever mingled with the good, and sometimes the evil have chief authority in the ministration of the word & Sacraments: yet, for as much as they do not the same in their own name but in Christ’s, and minister by his commission and authority, we may use their ministry both in hearing the word and in receiving the Sacraments. Neither is the effect of Christ’s ordinance taken away by their wickedness: nor the grace of God’s gifts diminished from such as by faith and rightly do receive the Sacraments ministered unto them; which are effectual, because of Christ’s institution and promise, although they be ministered by evil men. Nevertheless it appertaineth to the discipline of the Church that inquiry be made of evil ministers, and that they be accused by those that have knowledge of their offences, and finally being found guilty, by just judgment be deposed. 71. It is not lawful for any man to take upon him the office of public preaching or ministering the Sacraments in the Church unless he be first lawfully called and sent to execute the same. And those we ought to judge lawfully called and sent which be chosen and called to this work by men who have public authority given them in the Church, to call and send ministers into the Lord’s vineyard. 73. That person which by public denunciation of the Church is rightly cut off from the unity of the Church, and excommunicate, ought to be taken of the whole multitude of the faithful as a Heathen and Publican until by Repentance he be openly reconciled and received into the Church by the judgment of such as have authority in that behalf. 74. God hath given power to his ministers not simply to forgive sins (which prerogative he hath reserved only to himself), but in his name to declare and pronounce unto such as truly repent and unfeignedly believe his holy Gospel, the absolution and forgiveness of sins. Neither is it God’s pleasure that his people should be tied to make a particular confession of all their known sins unto any mortal man: howsoever any person grieved in his conscience, upon any special cause may well resort unto any godly and learned Minister to receive advise and comfort at his hands. 75. It is not lawful for the Church to ordain any thing that is contrary to God’s word: neither may it so expound one place of Scripture that it be repugnant to another. Wherefore although the Church be a witness and a keeper of holy writ: yet as it ought not to decree any thing against the same, so besides the same ought it not enforce any thing to be believed upon necessity of salvation. 76. General Councils may not be gathered together without the commandment and will of Princes; and when they be gathered together (for as much as they be an assembly of men and not always governed with the Spirit and word of God) they may err, and sometimes have erred, even in things pertaining to the rule of piety. Wherefore things ordained by them as necessary to salvation, have neither strength nor authority unless it may be shown that they be taken out of holy Scriptures. 79. The power which the Bishop of Rome now challengeth, to be Supreme head of the universal Church of Christ, and to be above all Emperors, Kings and Princes, is an usurped power, contrary to the Scriptures and word of God, and contrary to the example of the Primitive Church: and therefore is for most just causes taken away and abolished within the King’s Majesty’s Realms and Dominions. 83. The New Testament is full of grace and truth, bringing joyful tidings unto mankind, that whatsoever formerly was promised of Christ is now accomplished: and so instead of the ancient types and ceremonies, exhibiteth the things themselves, with a large and clear declaration of all the benefits of the Gospel. Neither is the ministry thereof restrained any longer to one circumcised nation, but is indifferently propounded unto all people, whether they be Jews or Gentiles. So that there is now no Nation which can truly complain that they be shut forth from the communion of Saints and the liberties of the people of God. 85. The Sacraments ordained by Christ be not only badges or tokens of Christian men’s profession: but rather certain sure witnesses, and effectual or powerful signs of grace and God’s good will towards us, by which he doth work invisibly in us, and not only quicken but also strengthen and confirm our faith in him. 86. There be two Sacraments ordained of Christ our Lord in the Gospel, that is to say, Baptism and the Lord’s Supper. 87. Those five which by the Church of Rome are called Sacraments, to wit, Confirmation, Penance, Orders, Matrimony, and Extreme unction, are not to be accounted Sacraments of the Gospel: being such as have partly grown from corrupt imitation of the Apostles, partly are states of life allowed in the Scriptures, but yet have not like nature of Sacraments with Baptism and the Lord’s Supper, for that they have not any visible sign or ceremony ordained of God, together with a promise of saving grace annexed thereunto. 88. The Sacraments were not ordained of Christ to be gazed upon, or to be carried about; but that we should duly use them. And in such only as worthily receive the same, they have a wholesome effect and operation; but they that receive them unworthily, thereby draw judgment upon themselves. 91. In the administration of Baptism, Exorcism, Oil, Salt, Spittle, and superstitious hallowing of the water are for just causes abolished: and without them the Sacrament is fully and perfectly administered to all intents and purposes agreeable to the institution of our Saviour Christ. 92. The Lord’s Supper is not only a sign of the mutual love which Christians ought to bear one towards another, but much more a Sacrament of our preservation in the Church, sealing unto us our spiritual nourishment and continual growth in Christ. 94. In the outward part of the Holy Communion, the Body and Blood of Christ is in a most lively manner represented: being no otherwise present with the visible elements than things signified and sealed are present with the signs and seals, that is to say, symbolically and relatively. But in the inward and spiritual part the same Body and Blood is really and substantially presented unto all those who have grace to receive the Son of God, even to all those that believe in his name. And unto such as in this manner do worthily and with faith repair unto the Lord’s table, the Body and Blood of Christ is not only signified and offered, but also truly exhibited and communicated. 95. The Body of Christ is given, taken, and eaten in the Lord’s Supper, only after an heavenly and spiritual manner; and the means whereby the Body of Christ is thus received and eaten is Faith. 97. Both the parts of the Lord’s Sacrament, according to Christ’s institution and the practice of the ancient Church, ought to be ministered unto God’s people; and it is plain sacrilege to rob them of the mystical cup, for whom Christ hath shed his most precious blood. 98. The Sacrament of the Lord’s Supper was not by Christ’s ordinance reserved, carried about, lifted up, or worshipped. 99. The sacrifice of the Mass, wherein the Priest is said to offer up Christ for obtaining the remission of pain or guilt for the quick and the dead, is neither agreeable to Christ’s ordinance nor grounded upon doctrine Apostolic; but contrariwise most ungodly and most injurious to that all-sufficient sacrifice of our Savior Christ, offered once for ever upon the Cross, which is the only propitiation and satisfaction for all our sins. 100. Private Mass, that is, the receiving of the Eucharist by the Priest alone, without a competent number of communicants, is contrary to the institution of Christ. Of the state of the souls of men, after they be departed out of this life; together with the general Resurrection, and the last Judgment. 101. After this life is ended, the souls of God’s children be presently received into Heaven, there to enjoy unspeakable comforts; the souls of the wicked are cast into Hell, there to endure endless torments. 103. At the end of this world the Lord Jesus shall come in the clouds with the glory of his Father; at which time, by the almighty power of God, the living shall be changed and the dead shall be raised; and all shall appear both in body and soul before his judgment seat, to receive according to that which they have done in their bodies, whether good or evil. 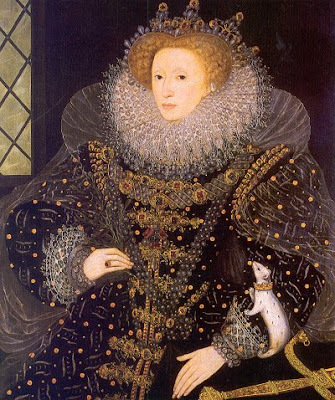 4.1: The Elizabethan and Caroline Settlements. Canon Patrick Comerford is Lecturer in Anglicanism, Liturgy and Church History, the Church of Ireland Theological Institute, Dublin. These notes were prepared for a seminar on 29 January 2015 as part of the MTh Year II course, TH 8825: Anglican Studies in an Irish context.